“Creating fashion sketches and designing your own clothing using your Mac is now easier than ever,” according to Jay Arrington, Vice President of StartingAClothingLine.com. Mac users will utilize the same fashion design training tools as Windows Users. Under the hood, there is really not much difference in the two versions of Digital Fashion Pro. One major thing is Digital Fashion Pro Mac Users install their fashion design software from a Digital Fashion Pro Custom USB Flash Drive that is coded to the user. One client of Digital Fashion Pro wrote into StartingAClothingLine.com Support and stated, "I am happy that I can now install this on my MacBook Pro." 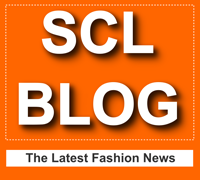 From the fashion design survey posted on the DigitalFashionPro.com page, the team at StartingAClothingLine.com has learned that 95% of their traffic is learning about fashion design software for the first time when they visit the page. Many people do not even know that such software exist. The majority of the population is still thinking that the only way to be a fashion designer or design clothing is to hand draw the designs. This could not be further from the truth. In fact, 97% of the industry uses some sort of computer-aided design program to create some aspect of their company’s designs. It is impossible to create a clothing line without the use of some type of graphic design software. 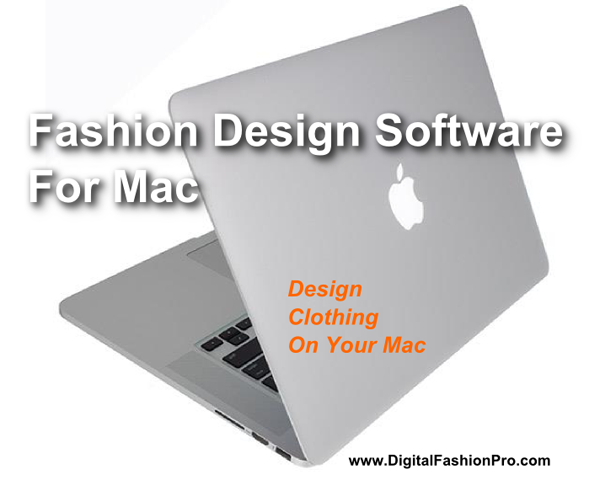 Digital Fashion Pro Software for Mac is the answer for many Mac Users who have been looking for a program that they can use to design clothing on a Mac. It is easy to use and creates professional fashion sketches. With the included training, users will be able to learn basic fashion design and have the tools to design their own clothing line. 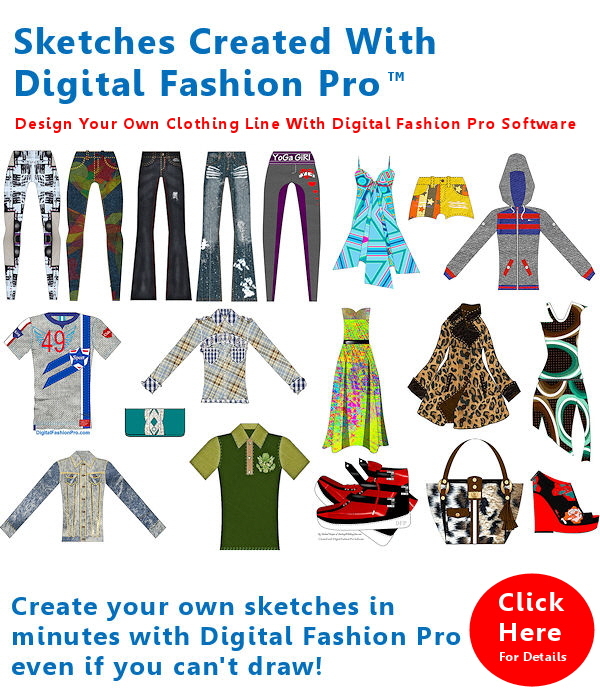 If you are looking for the best fashion design software for Mac to use on your Apple Computer – look no further than Digital Fashion Pro. Visit the page to learn more about it, see sample fashion sketches and ordering information.